Proudly serving central San Diego county since 1997! Termites, rodents and standard pests infiltrate homes in Ocean Beach all year. Termites compromise the structure of your home, while rodents and standard pests like fleas and cockroaches can compromise the health of your family members and pets. This is why License to Kill offers year round protection with our preventative pest maintenance program and up to a 2 year warranty with our termite services. Our state licensed technicians use only the most effective, eco-friendly products and take time to educate clients on integrated pest management techniques to reduce the use of pesticides. Our goal is complete customer satisfaction, we look forward to being your pest control experts. We have extensive experience eliminating pests in apartments, commercial properties, historical structures and residential homes. Our treatment methods are guaranteed to kill your pests. At License-To-Kill, we understand pesticide sensitivity. If you’re allergic to pesticides, concerned about your pregnancy, pets or children, we care and are prepared to work with you. Please call us for your pest control needs today. Bed bugs are notorious hitchhikers. Just leaving a bag in an infested area for a moment can introduce a colony to your home when you bring those bags inside. They also travel on clothing and through walls in infested hotels, condos or apartments. 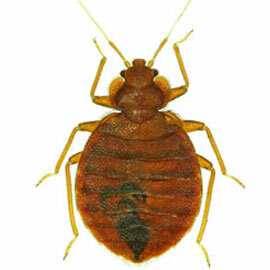 Reclaim your home and kick those bed bugs to the curb by calling License To Kill. 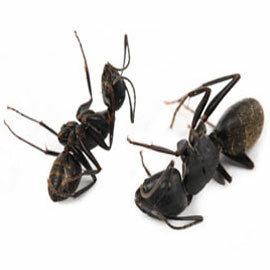 Ants, spiders, cockroaches and fleas all fall under our standard pest control service, but each pest can pose a unique threat to your home. Spiders can bite and cause allergic reactions. Fleas and cockroaches can spread disease, while ants take over your kitchen or bathroom in a matter of days. Let the professionals at License To Kill customize a standard pest plan to rid your home of pests today. San Diego's warm sunny climate year round and unique urban layout makes rodent infestations very common around the city. A lot of homes are near open spaces or near places being developed, which means rats and mice will come inside your home seeking food, water and a safe place to breed. 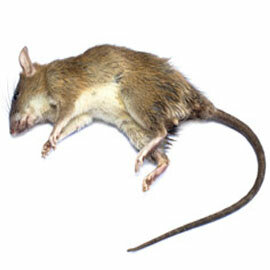 Keep rodents out by beginning our rodent control program. 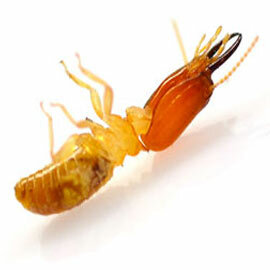 There are 2 types of termites that threaten structures in San Diego; subterranean and drywood termites. Subterranean termites tunnel through the soil to infest wood structures, while drywood termites infest an exposed wood beam by swarming. License To Kill exterminates any termite colony threatening your home. We provide comprehensive termite escrow reports and commercial termite removal services for apartments, condos and other multi-unit structures. Over summer my home was covered in ants. The ants were relentless! I would use chemicals and store bought insect killer daily, nothing worked. I know I need a professional company but was afraid of the high costs in case the ants returned. I contacted License to Kill. They were amazing! Price was very reasonable and I haven't had a problem since! We never write reviews, but our experience with License to Kill was AMAZING. The employee that was sent out to take care of our ant issue was extremely thorough in explaining the different ant behaviors, and then explained the treatment program and how it would work. 2 weeks later, not a sign of an ant. THANKS LICENSE TO KILL. I had an ant invasion in my home. A friend recommened License to Kill. I called and got same day service. The tech used bait inside my home because I am chemical sensitve. He treated outside and made recommendation to trim trees away from my home. They come out every month and treat outside. It is a pleasure not to have any more ants and care about my health concerns. I will recommend them to everyone. They have been doing my families pest control for about 8 years now. We all love them! They have done everything from ants and mice to bees and I have always been satisfied! I just found termites in the wall when I was remodeling and they fumigated my house. Made it a lot easier than I thought it was going to be. Owners are very kind and honest people. Get Rid Of Your Pests Today!